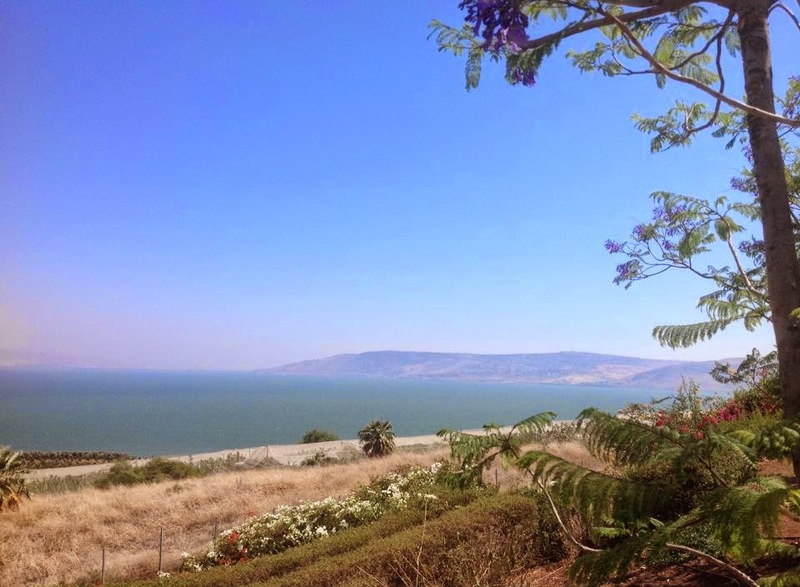 In Galilee we stayed in Tiberias, a town with great views of the Sea of Galilee. 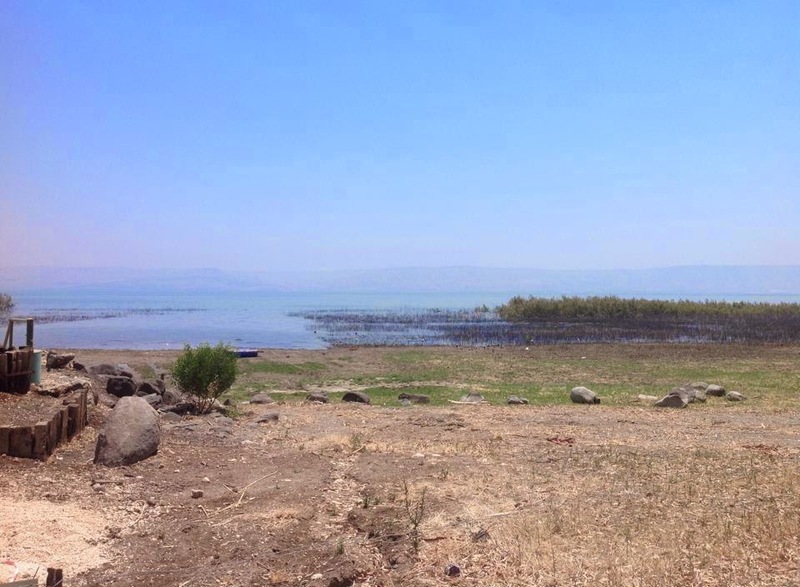 Although there is little to look at in Tiberias from a first century Christian point of view, it is an ideal spot from which to explore the lake and its key spots. 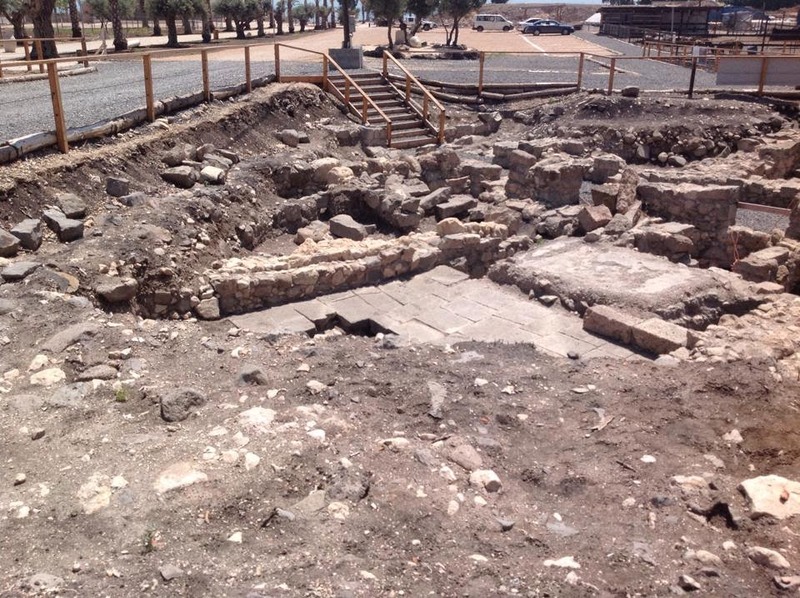 First, we visited Magdala, about seven km north along the lake from Tiberias (and about 10k south of Capernaum). One thing you quickly realise as you arrive is that most of Jesus’ ministry was in a very concentrated area of an arc of some 25km along the west of the Sea of Galilee (below, looking toward Magdala from the Church of the Beatitudes). 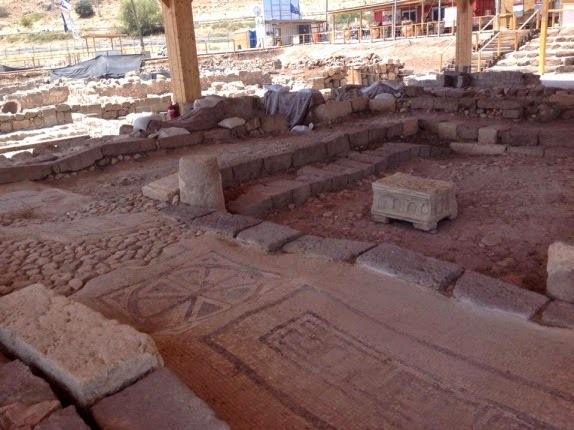 Magdala is a recently excavated site which is wonderful. In fact Sister Martha from Pilgrim House shared with us that she was there when it was first noted. The town was of course the home of the famous Mary Magdalene. I had no idea it was such an important town in the first century; a base from which fish was delivered across Israel. No doubt the fishermen among Jesus’ disciples frequented this place. The synagogue is amazing (right), possibly the site of where Jesus preached and cast the demons out of Mary. There one sees the layout with the Torah scroll room, which had been fortified during the rebellion against Rome (hadn't helped much!). There is a great excavation of the market (left), houses, fishermen’s areas, and a great Roman area which sadly we couldn’t enter. There is a lovely modern church there which focuses on the contribution of women to the Gospel story (right). It sits on the shore of the Sea, from which Tabgha, Capernaum, and Bethsaida are only a short boat ride away to the left (north). Tiberias is a few k to the right (south). Although the Gospels do not mention Jesus going there, he must have as he preached through all the synagogues in Galilee and Israel (Matt 4:23; 9:35). The water in Jesus’ time came a lot further up that in the picture below. 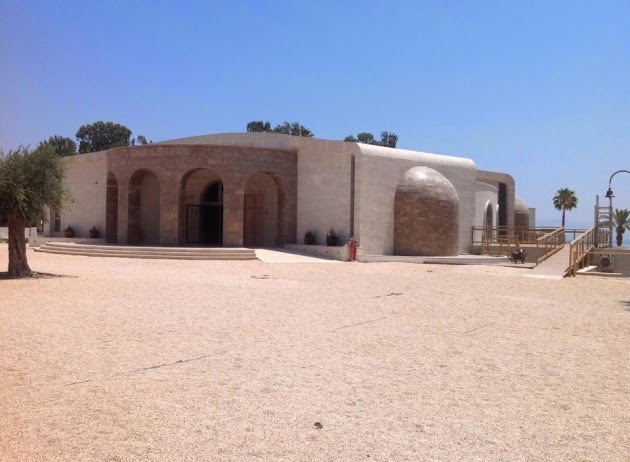 Magdala is left off a number of tours. Make sure you get there. You can almost hear Mary, Jesus, and the others talking as you sit and ponder. Hi Mark Pictures posted alongside text make real impact Would be good to fit some of your photos from your trip in your NT paper this semester ?